Fingerprint Sensors Lumidigm Venus include multispectral imaging technology that allows to capture fingerprint images when there are difficulties in distinguishing fingerprint features (dirty, aged, dry, wet, moist or incorrectly placed fingers). Scanner’s manufacturer specifies that this technology allows to perform live finger detection to reject fake fingers. 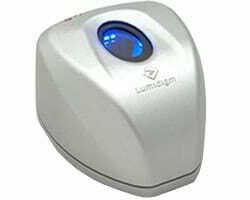 Fingerprint Sensors Lumidigm Venus is used in the access control device.